The more than fifty resistance movements and sub-movements featured here make this the radical's guide to restoring our rights, saving our planet, and creating lasting change. 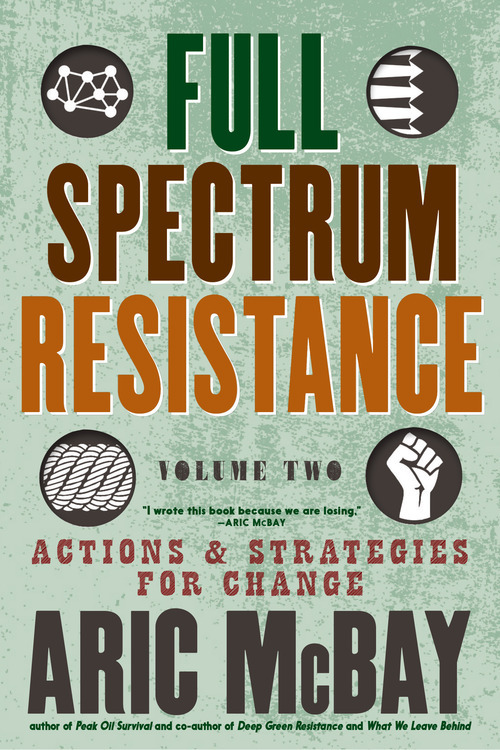 From mid-nineteenth century Chinese rebellions against colonial exploitation and ecological disasters to the Grassy Narrows' fight against mercury poisoning and colonialism to the Stonewall riots and parades for LGBT rights to Black Lives Matter, Full Spectrum Resistance's two volumes are some of the only books on activism that actually cover RESISTANCE, not just passive, risk-averse modes of activism. 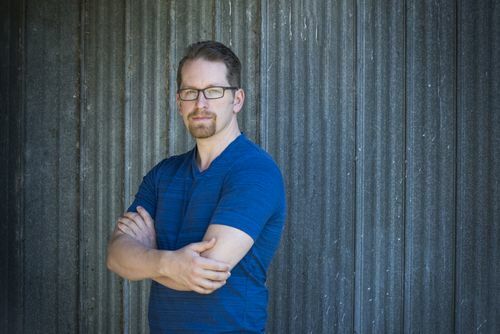 Author, activist, and farmer Aric McBay provides in-depth histories and case studies of social justice and environmental movements, both radical and liberal, to explain why passive resistance alone cannot work, and why we must be prepared to do whatever it takes to truly create change. 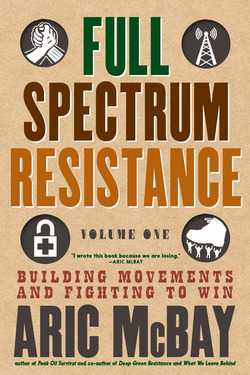 Volume 1 of Full Spectrum Resistance taught us how to build an effective movement. In Volume 2: Actions and Strategies for Change, we learn how groups like the Greek Resisters of the 2008 Greek Television Takeover communicated and stayed connected so they could spread their message, coordinate with allies, and navigate their relationship with mass media. How organizations gather the intelligence and information they need to make smart decisions and understand their adversary's weak points. How movements hamper their opponent's attempts to gather information about them, and how they cope with attacks on their movement through secret disruption or overt repression (COINTELPRO, 1971). How groups raise money, support themselves, and organize the fundamental logistics that underpin any long-term struggle. How movements—such as Stop Huntingdon Animal Cruelty—take effective action and choose tactics; and principles that guide successful strategy and allow movements to integrate the different capacities discussed throughout the two volumes. We might be losing now, but with the right strategies and dedication there is still time and opportunity to win! Available for pre-order. This item will be available on May 28, 2019. – Bill Ayers, founding member of the Weather Underground, author of Fugitive Days, Public Enemy, and Demand the Impossible: A radical manifesto.